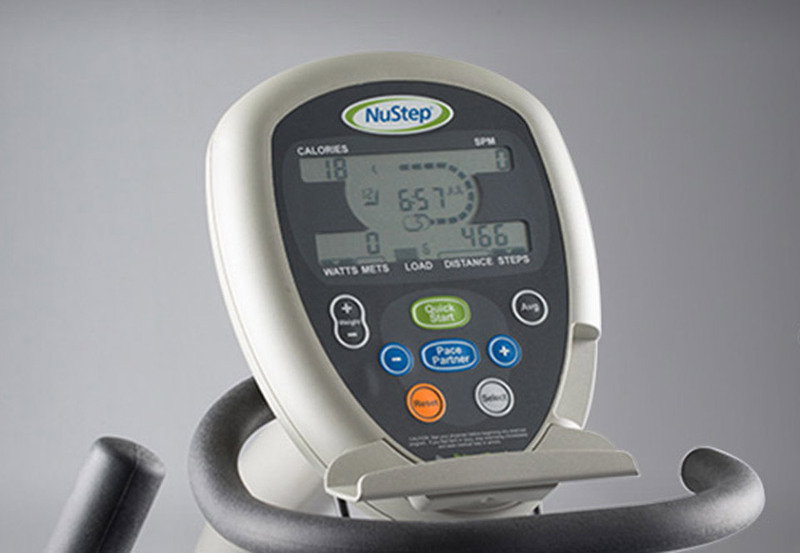 The NuStep T4r delivers a low-impact total-body workout that can benefit users of virtually any fitness level or functional ability. 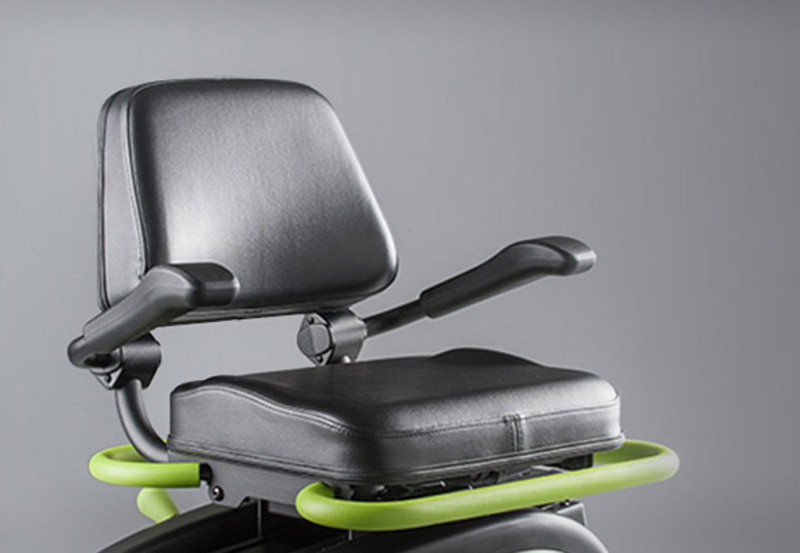 The T4r features a comfortable, wheelchair seat that spins a full 360 degrees and can be locked every 45 degrees. 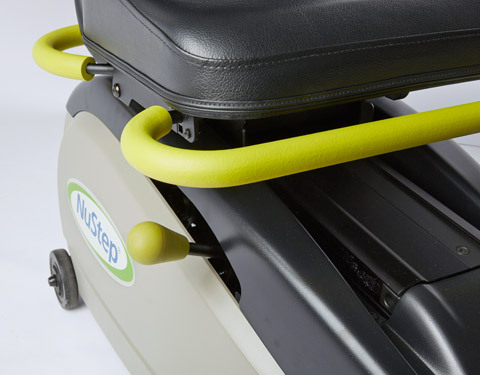 This allows users to access and transition onto the seat from any angle. The seat also adjusts forward and back to accommodate various leg lengths. 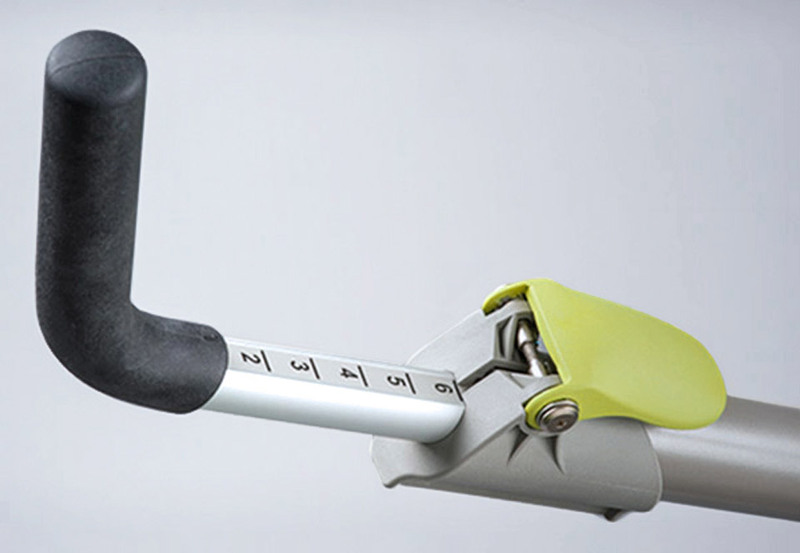 The easy-to-adjust clamshell releases located on the arm handle lets users establish the optimal arm handle length. The rubber hand grips are soft, comfortable and easy to clean. 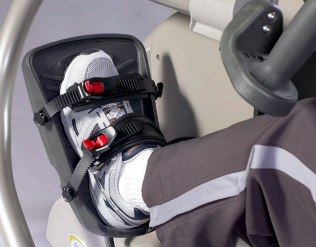 Supportive and stable foot pedals help make a good lower-body workout possible. The foot pedals were designed to accommodate feet of various sizes. 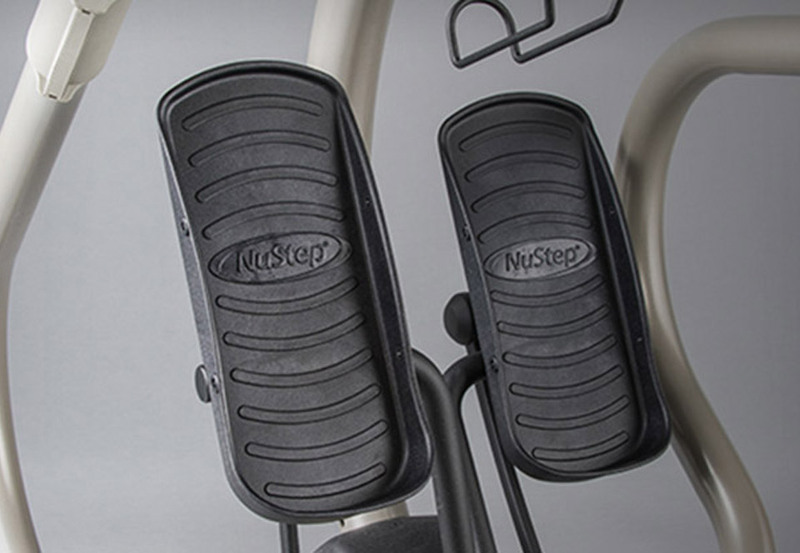 The heel cups help reduce slipping off the pedals. 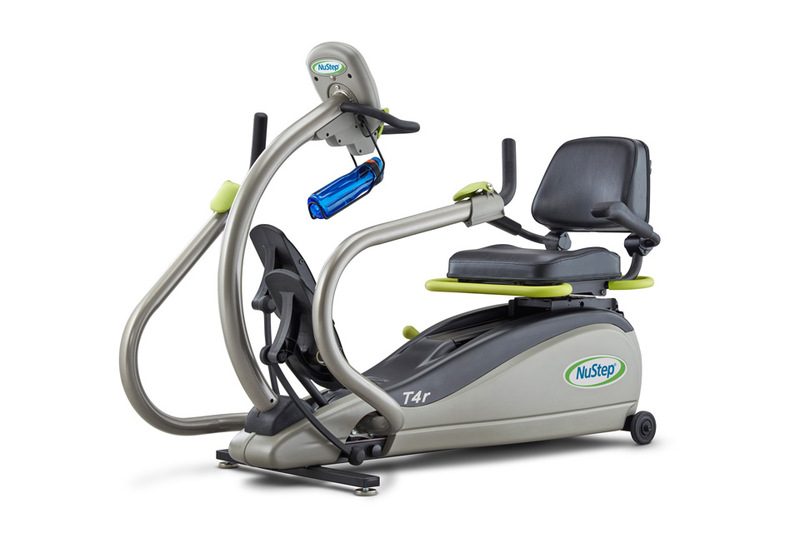 The display on the T4r is easy to read and easy to use. 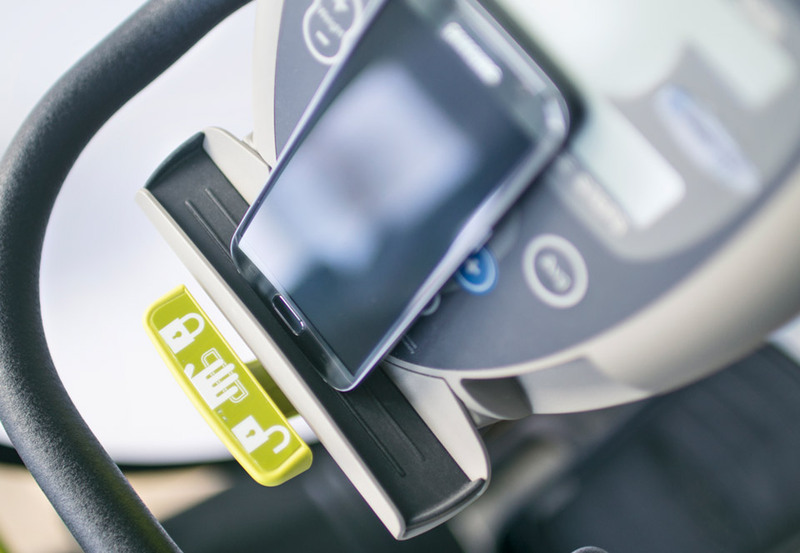 With the Quick Start button, workouts begin with a single click. Resistance level and total steps are displayed. A media shelf, StrideLock™ lever and water bottle holder are situated below the screen. 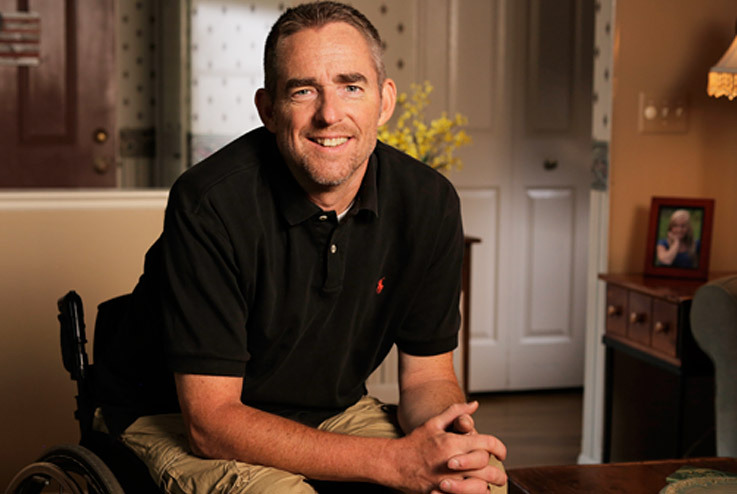 - Matt Drake: All my rehab, all of the recovery I've made has been on the NuStep.